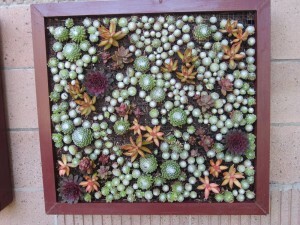 A vertical succulent garden is a trendy and popular. 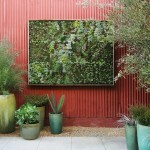 Many people want to have a garden at their homes, but lacking of space puts obstacles. 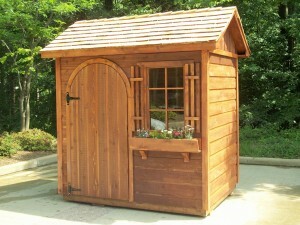 This thing gives a solution and helps to bring dreams into reality. You are able to make it by yourself, without spending money, but having a fun. To be an outstanding DIYer is not necessary! 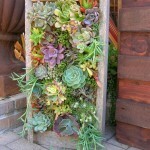 Frame vertical succulent garden is easy to create. Just you should know few tips. 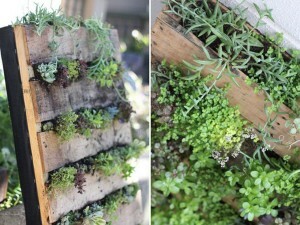 Use small wooden box or frame. You can paint it in different colors. Depth should be 2 inches (5 cm). 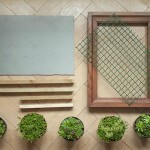 Fill your frame with soil. Evenly spread it. 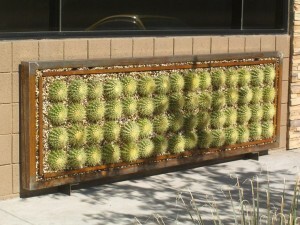 Cover with mesh wire hardware. 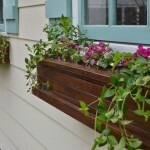 It will hold your plants and soil. 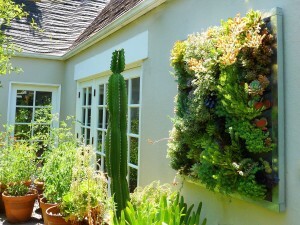 Then you should plant a vertical succulent garden. 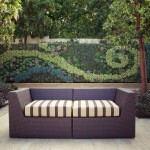 It is very creative, captivating process of choosing combination of colors, sizes. 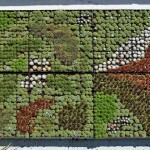 The next step is leaving it on a flat surface for approximately two months for preventing weak root system. 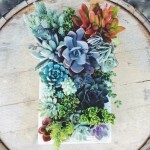 Otherwise, succulents will not develop strong one and, probably, will not be able to survive. Moreover, they may fall down. 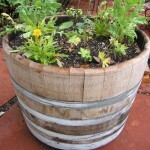 Soil should never be soft, that is why try to avoid rich watering of you garden. Do not forger to fertilize it. 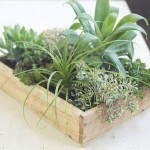 Not all plants are good for implementing this idea. 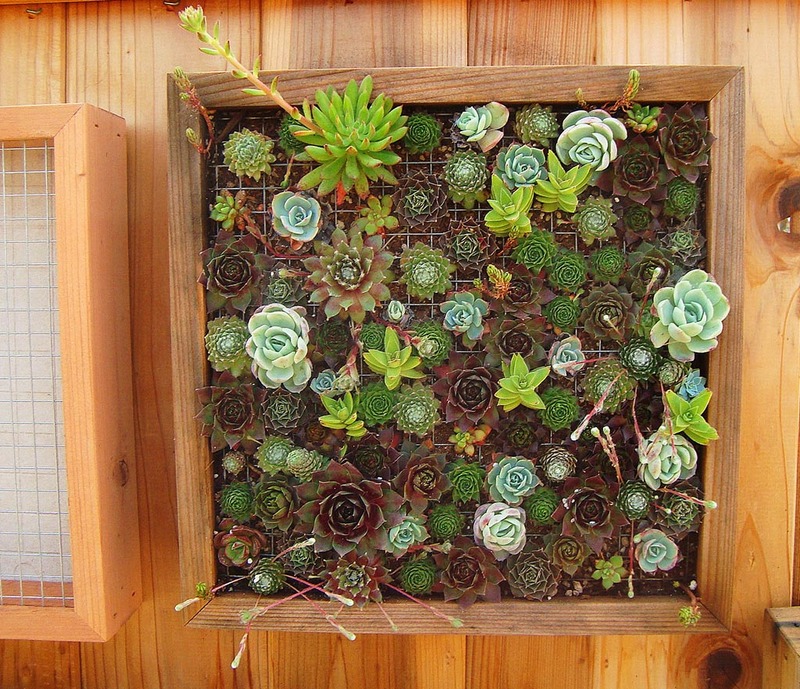 However, succulents are great for this. They grow on slope and cliffs, rocks, have ability to be adapted to not much friendly environment. They are not demanding. 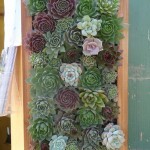 Echeveria, sempervivum, crassula, sedum are the best succulents for vertical garden. 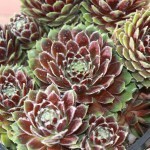 Echeveria has a form of rosette. It looks really astonishing. 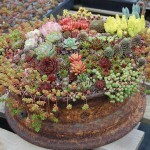 Sempervivum can survive in tough conditions. 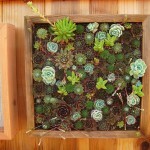 If you forget to water or temperature is low, everything will die, except for it. Crassula has nice triangular leaves. It will happily live in your garden. 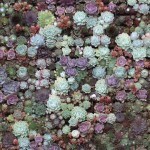 Sedum is a perfect ground covering. It spreads itself very easy and ready to hide all empty gaps.